The San Francisco Giants have reached a six-year, $130 million contract agreement with free-agent right-hander Johnny Cueto. The deal includes an opt-out after two years. The 29-year-old had a 3.44 ERA (117 ERA+) in 212 innings for the Reds and Royals this past season, and helped Kansas City to the World Series title. Cueto turned down $120 million from the Arizona Diamondbacks, who later gave Zack Greinke more than $200 million. The Giants earlier signed right-hander Jeff Samardzija to a five-year, $90 million deal. Cueto has a carer 96-70 record, spending all but two of his eight seasons with the Cincinnati Reds. 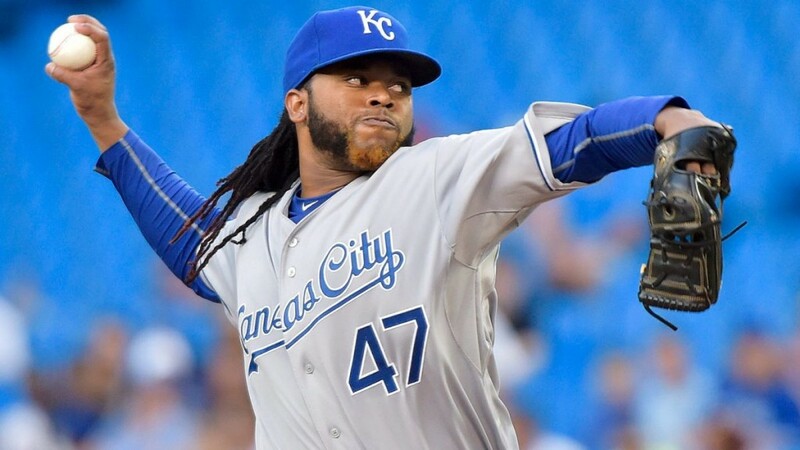 Cueto’s best season came in 2013, when he was Cy Young runner-up to Clayton Kershaw. That year, Cueto led the NL with 242 strikeouts in a league-high 243 2/3 innings, finished second in WHIP (0.96) and won 20 games. Cueto will likely be slotted between left-hander Madison Bumgarner and Samardzija. They now have guaranteed $220 million to two starters who had major issues in 2015 but were brilliant the year before. Samardzija posted a 2.99 ERA two seasons ago and Cueto went 20-9 with a 2.25 ERA and 242 strikeouts.